La bataille de Gettysburg à l'échelle opérationnelle et tactique, deux jeux en un ! En achetant ce produit vous pouvez gagner jusqu'à 37 points de fidélité. Votre panier totalisera 37 points de fidélité pouvant être transformé(s) en un bon de réduction de 3,70 €. jeu en anglais édité par clash of arms. Tired of marching up Cashtown Pike and running into the same old Union cavalry? Tired of Ewell always coming in on the same old flank and scattering the XIth Corps? Does it drive you mad to see, after all the Gettysburg games you've played, Sickles once again get his head handed to him? Just how many times does Pickett have to charge before we finally cry "Enough!" Well, Rick Barber is tired of it. That's why he designed Summer Storm: The Battle of Gettysburg. 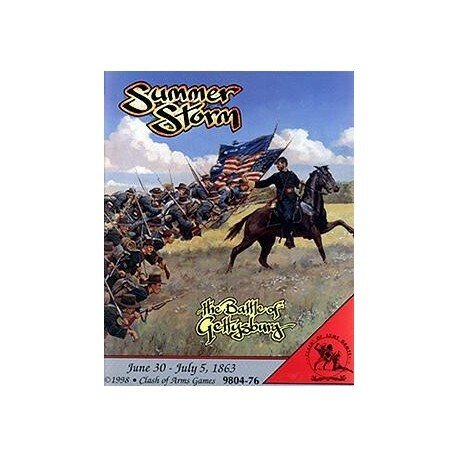 Actually two games in one Summer Storm begins at the operational level with a unique double-blind game covering the approach marches of Meade's Army of the Potomac and Lee's Army of northern Virginia. Sure, there'll be fightin' aplenty at Gettysburg, but how these armies arive and from what direction is up to you (within historical parameters, of course). Thus, no two playings will ever be the same. 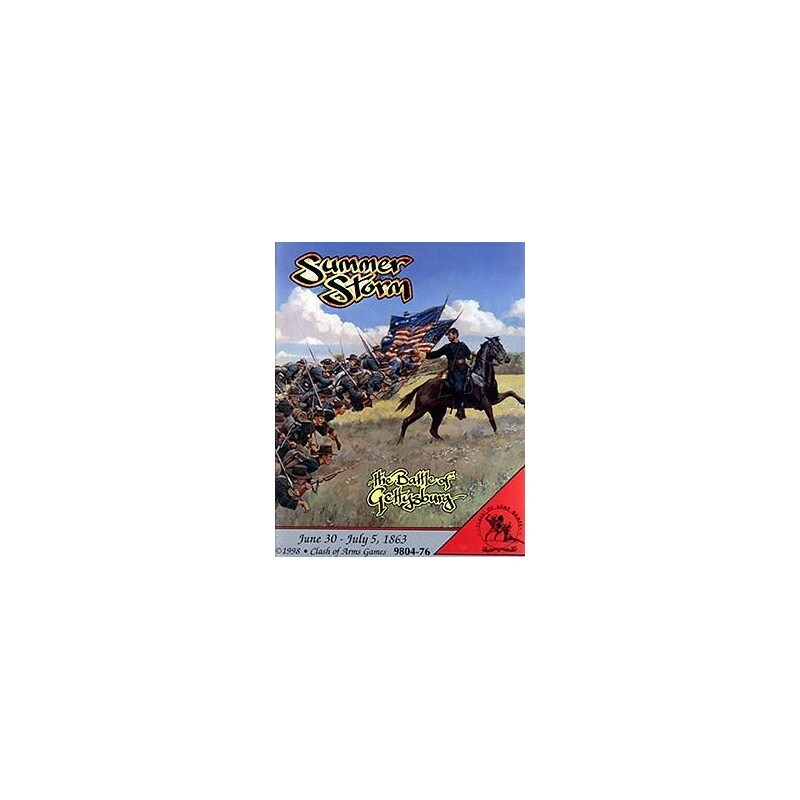 For the first time cavalry play the role for which they were intended. Will you allow Stuart to deprice you of your eyes and ears? Can you even stop this from happening? Troops don't actually deploy on the battlefield (the tactical maps) until you see the enemy, or blunder into them, as was more often the case. The second game starts on the tactical maps. Divisions break sown into brigades, brigades into from one to three counters, depending on their raw numbers. A unique command system virtually removes book-keeping while at the same time rewards players for good gaming and strategy. Movement and combat are extremely smooth.